If you’ve studied gut health, you’ve likely heard about the importance of the gut microbiome. This life-supporting family of bacteria live in your gastrointestinal (GI) tract and are a vital part of our health. You’ve likely taken PRObiotics, but are you taking PREbiotics to help those good probiotic bacteria stay happy and well fed in your digestive system? There are an ever-increasing number of studies linking imbalances in the microbial makeup of digestive tracts with a variety of health concerns. Studies are showing that taking prebiotics may be just as important or even more important than probiotics alone. Digestive problems like irritable bowel syndrome (IBS), inflammatory bowel disease (IBD) and small intestine bacteria overgrowth (SIBO) have been connected with gut microbiome imbalances. More surprisingly, skin concerns like eczema, psoriasis and acne, as well as depression, anxiety, and metabolic issues have also all been linked to bacterial imbalances. (1, 2, 3, 4, 5). Our gut microbiomes are amazing communities, and it’s up to us to give them what they need so they can flourish, and we can do the same! Prebiotics: We all know that we are what eat, and moreover, we are what our gut microbiome eats. When you feed your helpful gut bacteria well, they are able to function their best, and so can you. For instance, Avocado with Himalayan pink salt, is one of my favorite snacks. Prebiotics, a type of fiber, are one of your colon cells’ (colonocytes) favorite foods. Let’s dive into the specifics about prebiotic resistant starches, foods rich in these resistant starches, and how they can help us heal our gut. When we eat Resistant Starch, this specific type of prebiotic carbohydrates, they reach the colon, or large intestine, intact. They can’t be broken down until they get to the colon. Once in the large intestine, these foods are an amazing nutrition source for the many different strains of beneficial bacteria that support our best health. These bacteria are very specific in what they want to eat, much like I am. Most of the food we eat feeds only 10% of your cells. Resistant starch and fermentable fibers feed the other 90% of our cells. That makes RS a vital part of your daily food intake. Amongst these types, Resistant Starch has been best evidenced to have distinctive benefits to overall wellness. The name says it with this one. Our upper digestive systems (stomach and small intestine) are not able to break down resistant starches. Thus, they move through to the colon, or large intestine, in their original form. Resistant starch neither spikes insulin/glucose nor does it provide significant calories. It is a preferred food source for the cells in our colons. These cells do a lot of the work of regulating our stools, nutrient absorption, mood and pain levels, to name a few vital function. 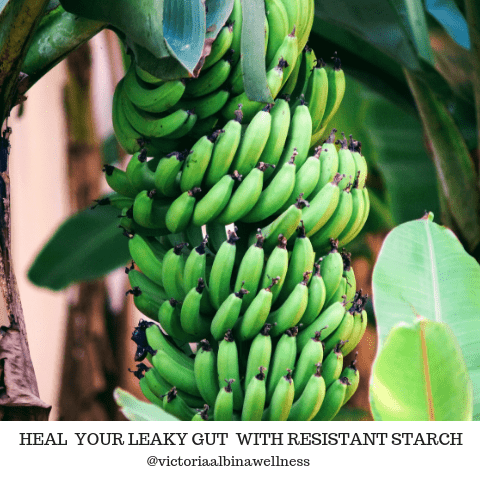 Resistant starch is a prebiotic, which is part of its magic. Prebiotics support the colonies of probiotics (the good bugs) in our guts. Where Can I Find Resistant Starch? Resistant starch is found in plants, grains, seeds, fruits, a group of delicious vegetables called tubers that many of us eat. Specifically these are: potatoes, sweet potatoes, yams, cassava, taro, sunchoke or Jerusalem artichokes, and yucca. Grains, seeds, and legumes contain RS Type 1. This starch is bound up within the cell walls of these plants, and is not accessible to us humans. Potatoes, plantains, green bananas and several tubers contain a type of resistance starch that is high in amylose, an important digestive enzyme. We can’t digest these starches in their raw form. When we cook these foods, the starch is available for digestion in the stomach, meaning they no longer contain resistant starch, making them less useful for the purpose of feeding our colon cells. This is the good stuff, and what we’re going for when we look to add resistant starch to our diets. RS3 is what becomes available from cooking and cooling Types 1 and 2 starches. The resistant starch stays in this useful, colon-cell feeding form as long as you eat these foods cool, or heated to no more than 130°F. If you reheat these foods, they change shape and no longer resist digestion and stop being an optimal food for our colon cells (6). RS Type 3 is also called “Retrograde Resistant Starch.” This type of RS forms after Type 1 or Type 2 RS is cooked and then cooled. Delicious cold rice pudding made with whole fat coconut milk and lots of blood-sugar-balancing Ceylon cinnamon. This is a synthetic form of RS that I’m including for completeness, but would not recommend. A common example is “hi-maize resistant starch.” That’s not something that sounds like food, for you or your beloved colon cells. The benefits of RS come when this amazing bacteria-and-colon-cell-food reaches the large intestine. The bacteria in the large intestine attach to and start to ferment the resistant starch. This releases a beautiful food source for our cells. Dreaming of that perfect bowel movement? Resistant starch probiotics may be the missing link you’re looking for! A hot topic in health these days in “gut dysbiosis” or an imbalance of friendly and unfriendly bacteria. The balance of friend and foe in the gut makes a huge difference not only in how we feel, but how well our digestive system is able to do the complex job of digesting and absorbing our food and nutrients. RS helps support the good bacteria, so they can crowd out any potentially pathogenic bacteria. This includes the good bacteria that can cause infection, inflammation and make us feel unwell (7). Resistant starch has also been associated with a decrease in your risk of colorectal cancer. This makes sense if you pause to think about it. Healthier, well-fed gut cells move toxin-filled stool out quicker and more completely. This reduces the amount of time that toxins and pathogens are in contact with the colon, potentially causing damage to its lining. Further, RS is said to protect colon cells from DNA damage and to cause the death of cancerous or pre-cancerous cells through a mechanism called apoptosis, or programmed cell suicide (8, 9). That is to say resistant starch can help protect against leaky gut, colon cancer and other GI concerns. As our modern diets continue to shift to include more processed sugars and carbohydrates, the rate of metabolic syndrome and diseases like diabetes continues to increase. When we eat regular starches, our blood sugar and insulin rise in response. This doesn’t happen with resistant starch because of the way it’s digested. The good news is that resistant starch has been shown to improve insulin sensitivity, or your body’s ability to see and use insulin. When your body moves sugar out of the blood, where it can cause damage, and into the cells, where it can be used as fuel (11) your health improves overall. Furthermore, since RS is very slow to digest or be used by the body, it continues to hold blood sugar levels down for hours after it’s been eaten, which is so amazing (12). Fibers that feed the colon cells provide a fermentable food source. When the friendly bacteria in our cells have a serving of resistant starch for lunch, they produce (through fermentation) a number of different short chain fatty acids (SCFAs). These are vital for overall gut health. The SCFAs that are the most beneficial and that we are most interested in supporting a healthy balance of are: acetate, butyrate, and propionate. Of these, n-butyrate is particularly important. It both protects and helps heal the gut lining. It provides significant benefits to health and wellness overall. The cells that line the colon use butyrate as their primary and preferred energy source. Much like your car may run best with unleaded gasoline of a certain grade, colonocytes love butyrate. Butyrate is also important for decreasing inflammation body-wide. It supports a healthy metabolism and increases the body’s ability to manage stressors. While all soluble fibers increase the colon cells’ ability to produce these SCFAs, resistant starch appears to increase butyrate production more than any other kind of dietary fiber (17). Butyrate lowers inflammation. Not just in the colon, but throughout the GI tract. The term “leaky gut” refers to increased intestinal permeability. When the gut is compromised, toxins and other substances that shouldn’t be in the bloodstream. They literally leak out of the gut and into the bloodstream, aka systemic circulation. 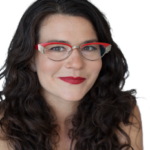 There are lots of reasons why a person would have leaky gut, which you can dive further into in this episode of the Feminist Wellness Podcast. Without enough RS to feed the colon cells, we can’t possibly have enough butyrate for all of our body’s other anti-inflammatory needs, beyond just healing the gut. Furthermore, the leftover SCFAs that the colon cells don’t use enter the bloodstream. They then go upstream to the liver. Then they travel throughout the body as a whole, acting as powerful anti-inflammatory agents. If you have Irritable Bowel Syndrome (IBS) or small intestinal bacterial overgrowth (SIBO), then highly fermentable foods are likely difficult for you to digest. They can lead to bloating, gas or uncomfortable stool changes. For those on a low carbohydrate diet, most of the common RS foods just won’t work with your dietary plan and goals in their whole-food-state. If whole plantains, green bananas, legumes, etc. don’t work for you, you can try a flour version of these foods. I love to make a coconut or nut milk chia pudding with one of these flours mixed in, which is so easy and delicious. Make sure not to heat these foods or their flours if your goal is RS – it falls apart, chemically speaking, about 130° F.
There are also lots of easy-to-use RS fiber powders. In my practice I alternate between Arabinogalactan, Glucommanan, Acacia and some other easily-hidden prebiotic powders that are nice in a smoothie or a homemade apple sauce. One of the principal tenets I use with any nutrition or supplement plan is nutrient rotation. Think about your great grandmother’s great grandmother. She could only eat what was in season, which meant that she rarely had the same foods day after day and week after week throughout the year. I try to do the same with my diet and to vary the forms of resistant starch I’m having every 2-3 days. It’s easy enough to grab a different RS powder for my smoothie. Or I’ll h ave cold potato salad one week and cold rice salad the next. Variety is the spice of life, and your colon cells would agree! How much RS should I have? Research is showing that we should aim for between 15-30 grams of RS daily to get the benefits of colon support. While most people don’t have negative reactions to added resistant starch, I generally recommend that folks new to these foods start with a very small amount each day. Slowly work up, monitoring how your body feels. It’s common to have some mild bloating or increased gas as you start to feed those hungry colon cells. That said, if you feel intense or uncomfortable gas/bloating, or symptoms such as increased diarrhea or constipation, reduce your dose or pause the RS entirely for a few days before trying again. If you’re categorically unable to tolerate RS, that’s a big sign that it’s time to see a functional medicine provider to test your gut for SIBO or other infections/imbalances. Learn more about IBS here and SIBO here. Have you added resistant starch to your diet? What did you add and did it help? Want to learn more about Leaky Gut? 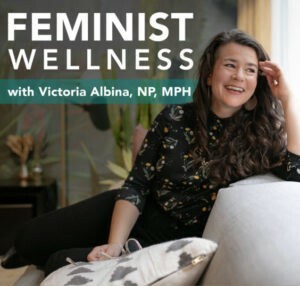 Tune in to this episode of my podcast, Feminist Wellness, to learn more! You can subscribe on iTunes, or can listen in wherever you get your podcasts. As someone who has a family history (grandparent sibling) risk of diabetes I try to keep my carbs under control but also coming from the Caribbean I love parboiled rice, green plantains etc. I guess I’m confused as to should I rotate these foods in occasionally? I used to get very green bananas from the grocery and cut into chunks and freeze then add to my morning smoothie but maybe instead a scoop of green banana flour? Hi Luz! I too have a family history of diabetes, so I feel you on being carb-conscious and I’m so glad you’re being thoughtful about that! The beautiful thing about resistant starches is that they will NOT spike your blood sugar, so they are a safer choice for us. Remember that in order for these foods to keep their natural resistant starch qualities they need to be cooked and cooled, and for things like plantains and bananas, green is the color to look for.